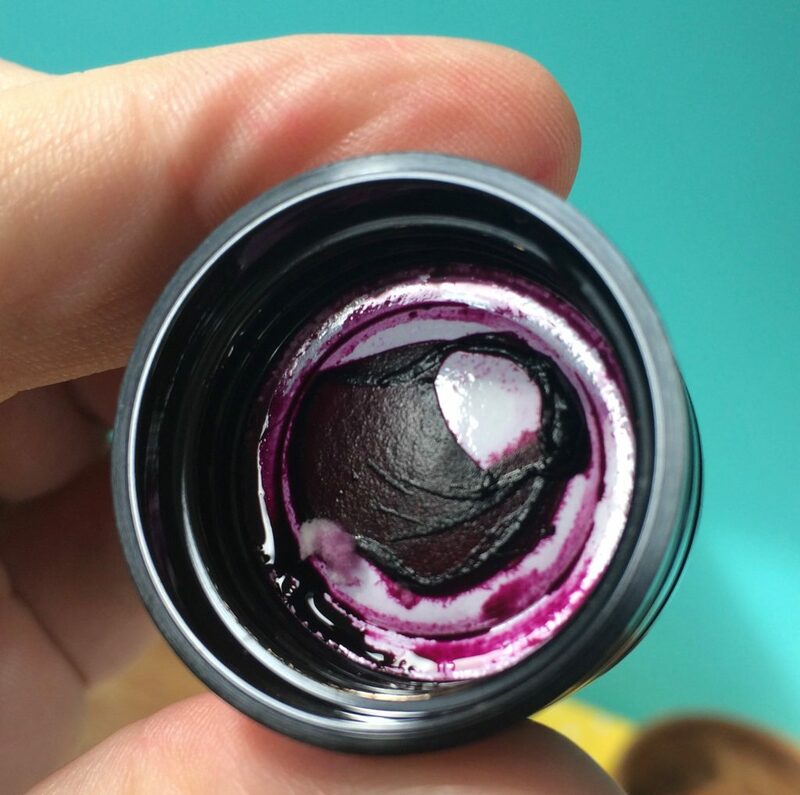 You could be forgiven for thinking that’s just dried ink inside the cap, but look at around 8 o’clock and you can see a big fuzzy growth, as well as some stringy stuff in the middle which could be slime or it could just be ink precipitates. 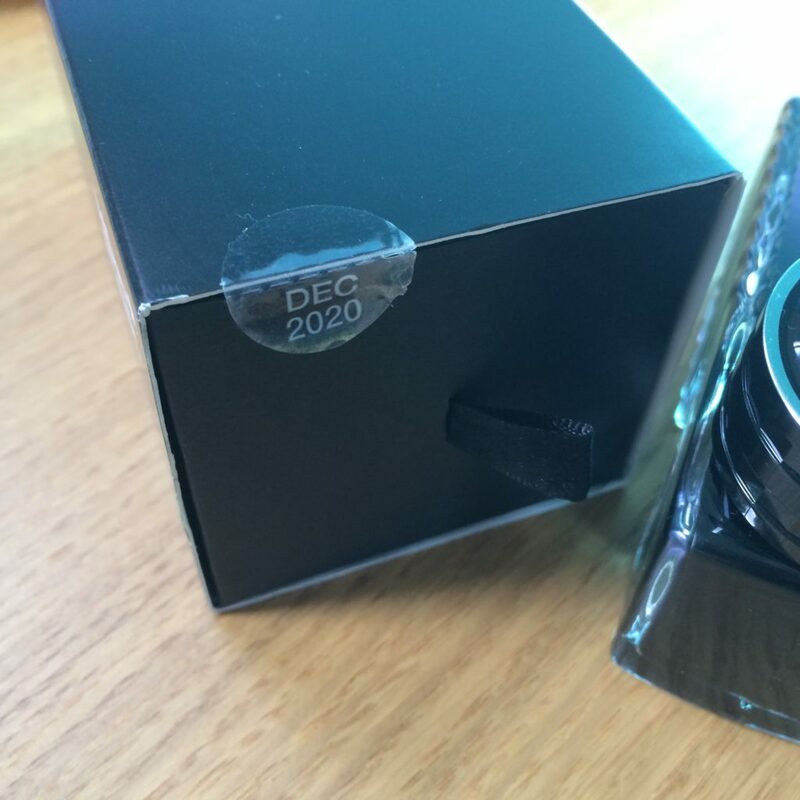 I went for a refund rather than replacement since the stock was all from the same batch (Dec 2020) and replacements could easily be contaminated and/or undertreated with biocide. 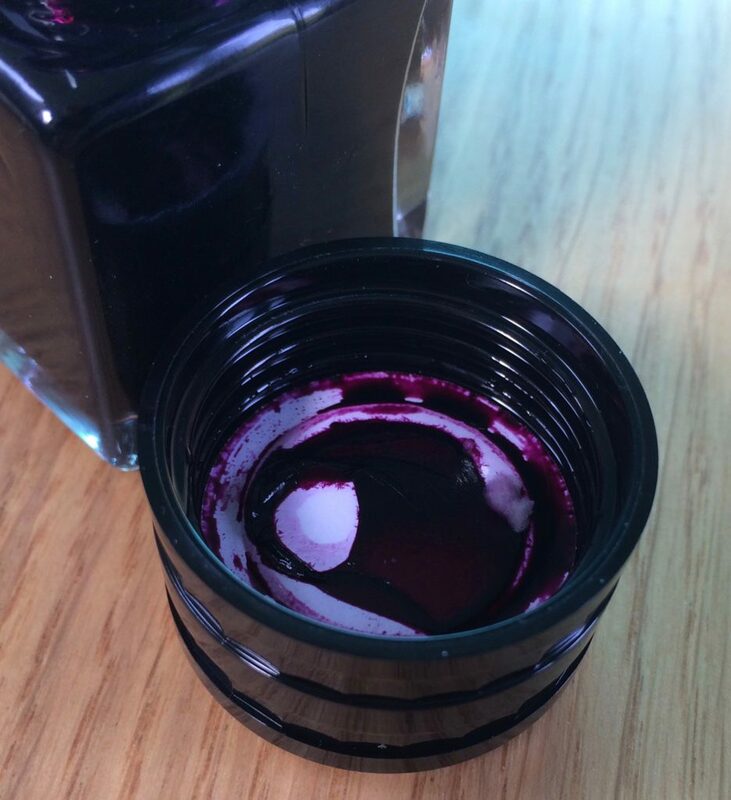 There are a few examples of mouldy Montblanc inks on t’internet (more Lavender Purple, and Yellow) although the name usually associated with bottle slime is J. Herbin who had issues in 2010 — caused by challenges of using ingredients that were safer for operators but harder to mix with water, so their treat of biocide wasn’t consistent across all batches (letter here).